Greetings! Yes, I know I haven’t posted on here in awhile but when life happens you can’t run from it. With that being said, I’d like to share with you guys a quick product review that has my hair feeling so GREAT! Let’s face it. Residue and build-up on scalp and hair looks unhealthy and stunts the natural growth of your hair. To help ensure your hair reaches its full growth potential, cleanse, detangle and hydrate daily. 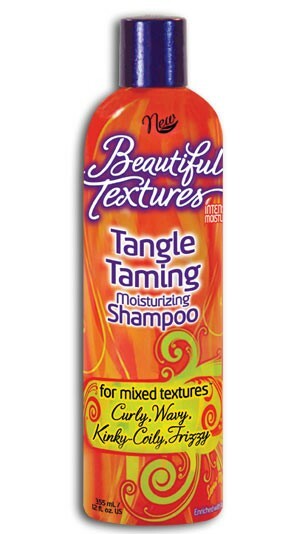 Tangle Taming Shampoo can be the first step to achieving softer, more defined curls, healthier looking elongated coils, or simply silky hydrated hair with unforgettable body! MY RESULT: I will have to admit that after wear Senegalese twist after two months this did it’s job. If you have the type of hair that is hard to detangle and breaks off easily I’d recommend this shampoo. I applied a generous amount to my hair and with two lathers I was able to comb through my hair from roots to tips without and breakage or hard pulling. The smell is lightly whipped so it doesn’t seem like you’re putting yogurt or ice cream on your hair. Dry, brittle, thirsty hair stunts natural growth. To help ensure locks reach their full growth potential, refresh and hydrate your mixed textured hair every day with Moisture Butter. Moisture Butter helps maximize the styling options of mixed textured hair by helping achieve softer, more defined curls, healthier looking elongated coils, or simply silky-smooth hydrated hair. MY RESULT: Okay, hands down! 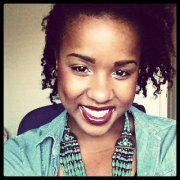 My twist-outs have been A-MAZING! I was a little iffy with the title being “curl creme” that my hair will shrivel up but the best result is to to this twist out when wet. It’s been almost a week and my curl definition keeps getting better over time. My styling options are usually limited when I used my usual product but the silky smooth texture really makes my hair manageable and versatile.